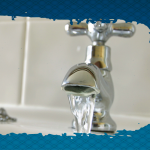 Are you looking for a fully qualified, reliable professional plumber in the Wakefield area? Then look no further, you are already in the right place! We have all of Wakefield covered and our highly trained, friendly plumbers will get to you as fast as they possibly can whenever you need them, day or night. We are so confident in our services that we guarantee all of our work, so you don’t need to worry about a thing! Customer satisfaction is our main priority and we aim to deliver every time. Our highly trained heating engineers have a vast experience in their field. We understand that when your central heating breaks down it is an emergency that just will not wait. Everyone needs hot water and central heating, especially in those cold winter months. You can always rely on us to be there in the case of an emergency. We don’t just do boiler repairs, we also provide boiler and heating system installations. All of our staff are gas safe registered and highly trained on how to carry out any of your gas heating system repair or installation requirements. Are you looking for a new bathroom installation in the Wakefield area? Why not have our team of highly trained professional bathroom fitters do the job for you? You will find our prices and service is unbeatable so why not give us a call for more details. We fit everything from toilets, showers, sinks and baths. Our bathroom fitters are well experienced and we aim to deliver the highest quality bathroom fittings services in the area. Customer satisfaction is very important to us and that’s why we guarantee all our work, we always keep our promises. We also have all of your bathroom repair needs covered from minor repairs to plumbing emergencies. In the case of a bathroom repair emergency you can call our 24 hour emergency hotline open 7 days a week and one of our friendly plumbers will be there to take care of you in no time at all. We also provide the highest quality kitchen installations in the Wakefield area, we have all your needs covered from minor installations and repairs to whole new kitchen fittings. a week and we will get to you as fast as we possibly can. 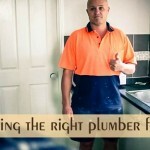 All of our plumbers are fully qualified and we believe we offer the best service in the Wakefield area.